Biotest SPIKE Shooter - Be Warned !! Blimey! Red Bull might claim to "give you wings" however New Biotest Shooter cans give you a jetpack up your jacksie! It contains ingredients I dare not mention, but trust me, it is refreshing, very tasty and potent. 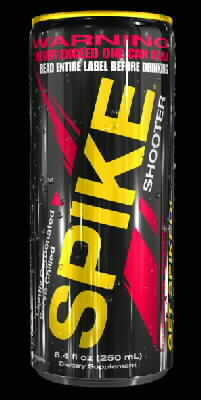 Spike Shooter is the high-speed energy drink everyone's been waiting for. 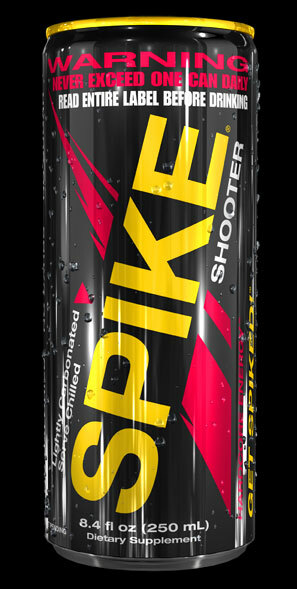 Lightly carbonated, with a delicious and invigorating flavor � yet jacked with active ingredients that'll pleasure even the most avid stimulant junky � Spike Shooter turns the entire energy-drink category on its ear. No more waiting for an energy drink that's good enough to drink for its flavor alone. No more waiting for an energy drink that really is an energy drink! Spike Shooter delivers it all.